Gelato students from all over the world study in classrooms, get first-hand crafting experience, and learn how to open and operate their own gelato shop. We spoke with Samuel Kelerstein, who opened his own gelateria in Florida less than two years after he graduated from Carpigiani’s classrooms. Forget liberal arts college: We want to go to ice cream university. 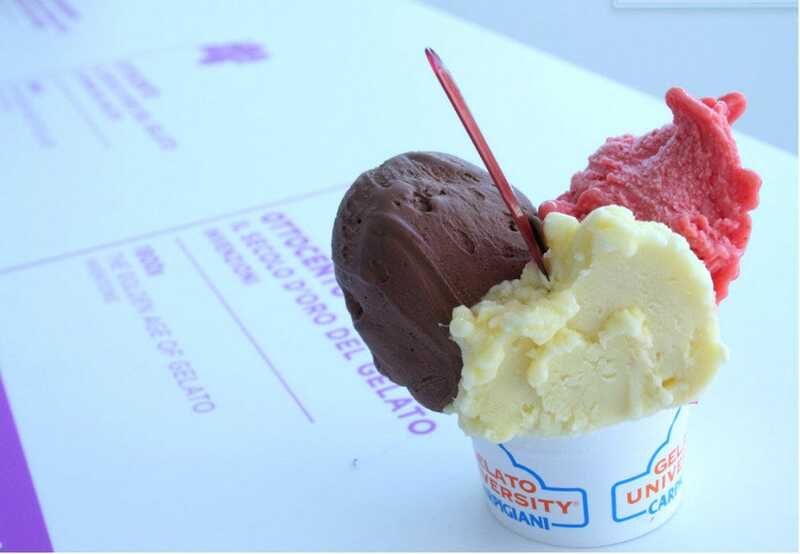 The tiny municipality of Anzola dell’Emilia in Bologna, Italy, is home to Carpigiani Gelato University, where — after a four-week intensive training program — you can become a gelato master. From learning the difference between ice cream and gelato in the university classroom (more milk and less cream) to to getting first-hand experience making fluffy mounds of Nutella,pistachio, and stracciatella (plain milk flavor with chocolate shavings) gelato, students leave the university with a “Master Gelatiere” certificate. 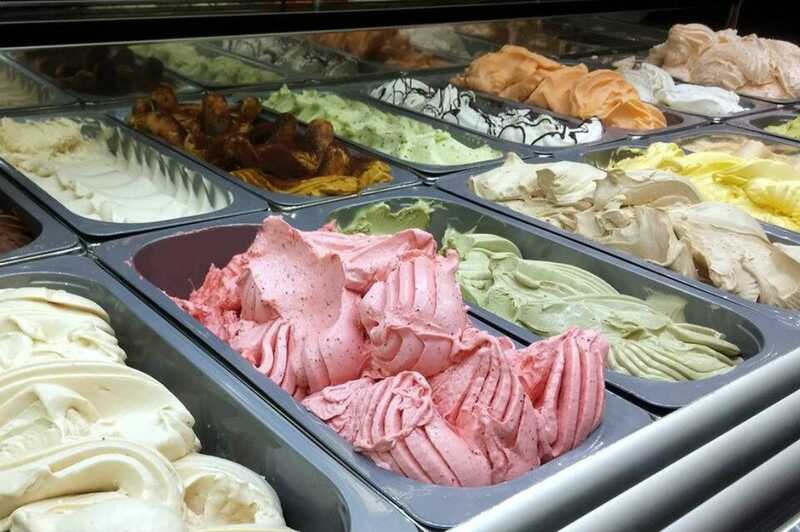 Many alums even open their own gelato shops. 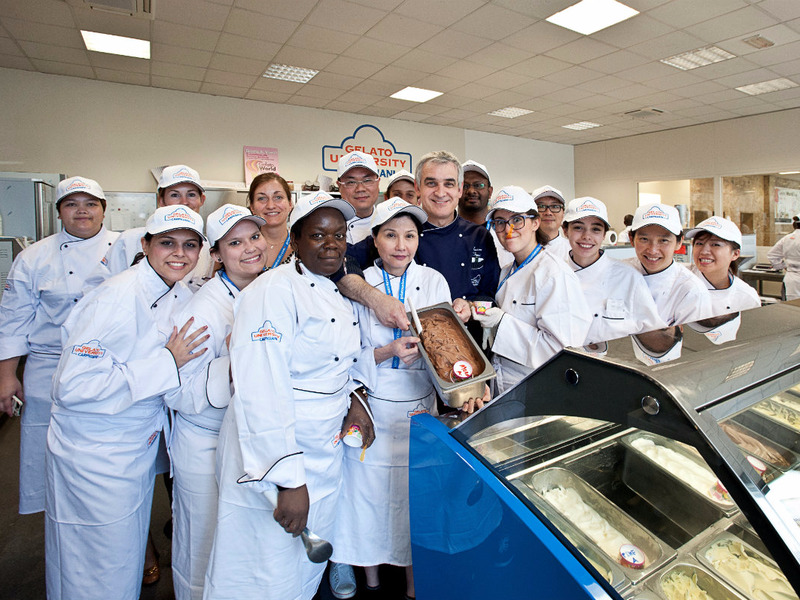 Carpigiani Gelato University was founded in 2003 as an “educational arm” of Carpigiani: an Italian corporation best-known for making gelato machines for restaurants and gelaterias. In 2013, the university launched its first four-week training program called “Become a Gelatiere,” which includes three weeks of training with a one-week internship at a gelato shop in Italy. 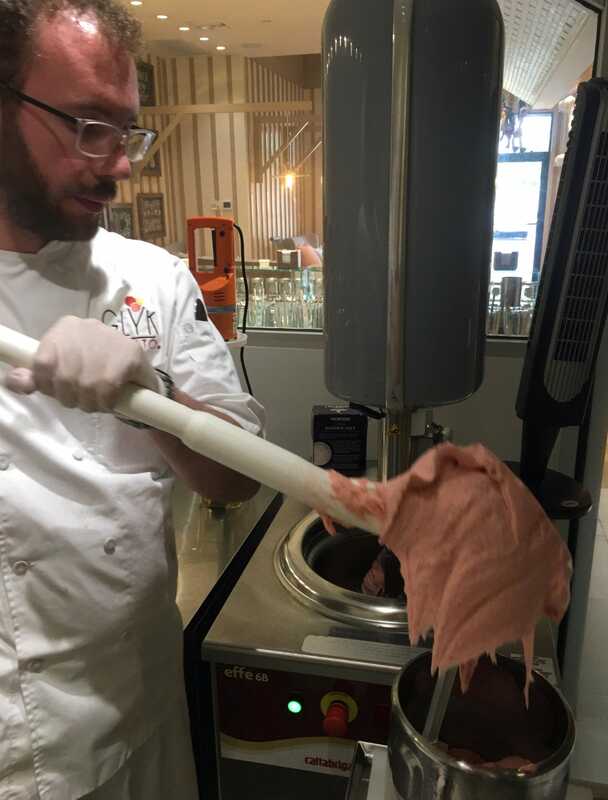 We had the chance to speak with Samuel Kelerstein, who attended the Gelato University in 2014 and opened his own gelato shop called Glyk Gelato in Parkland, Florida 18 months after graduation, and Kaori Ito, Director of the Carpigiani Gelato University. At Gelato University, you don’t just sit in the back of the classroom: You have plenty of trial and error experience. Classes range in size from 10 to 30 students, and more than half of students come from outside Italy. 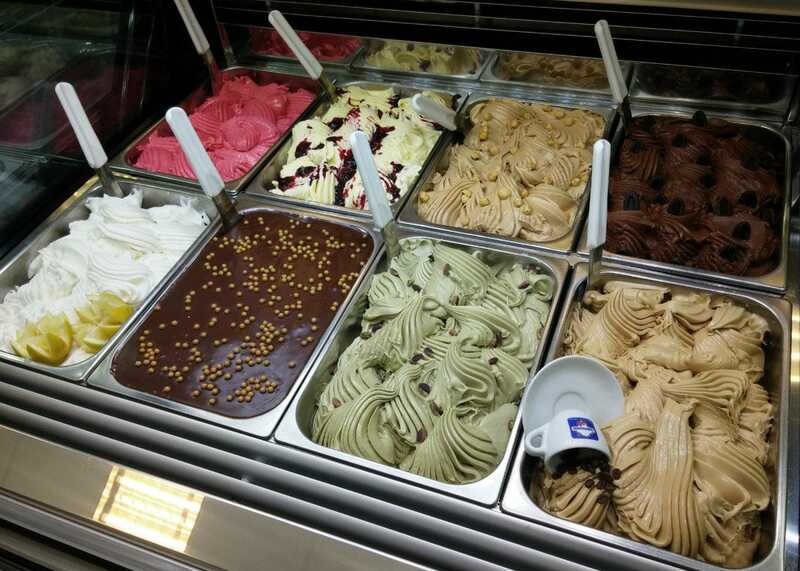 Kelerstein said that he began his intensive gelato-making course in the summer of 2014. He comes from a family of ice cream-makers in Mexico, and had always wanted to open his own shop in South Florida. Cartigiani was the next step toward achieving that goal. Students like Kellerstein learn how to appreciate the sometimes temperamental art of gelato-making. 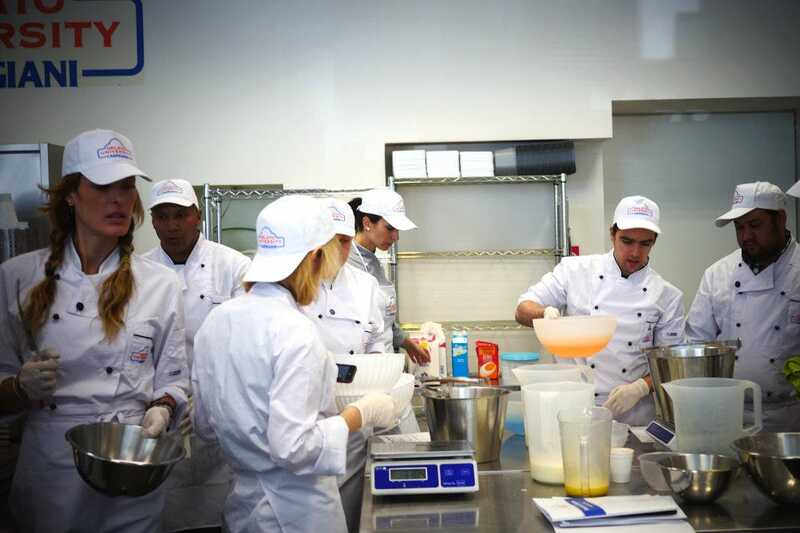 In the morning, students learn the basics of gelato in a classroom setting. In the afternoon, they try it out for themselves. 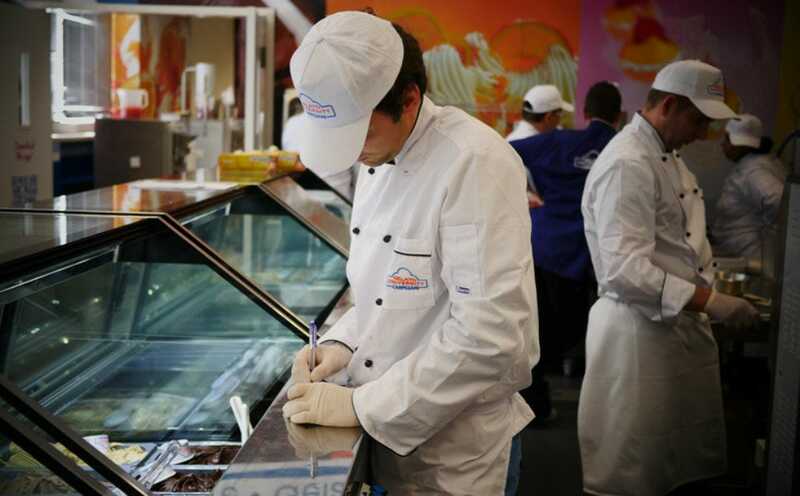 There are many different types of gelato, as the students quickly learn. 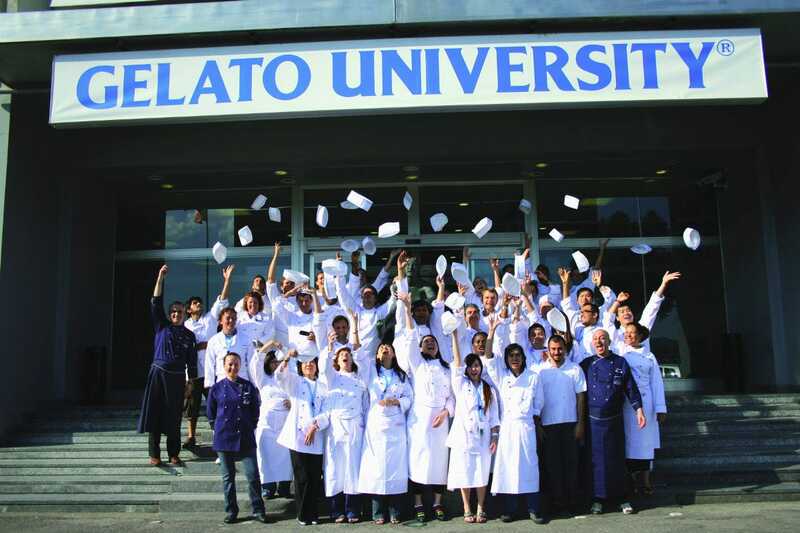 The last thing students learn before graduating Gelato University is how to run a gelato business. Around 18 months after he graduated from Gelato University, Kelerstein was just about ready to open his shop. By July 2016, the student has become the master: Kellerstein opens his own gelato shop in Parkland, Florida. Kelerstein and his father had the grand opening for Glyk Gelato in Parkland, Florida in July 2016. There, he debuted his favorite flavor — which he had learned studying abroad in Italy, and would soon become his signature creation — sweet corn ice cream. Kelerstein said that he was inspired by Mexican sweet corn cakes when he created the unusual gelato variety. As of right now, Glyk Gelato has a perfect five-star score on Yelp, with reviews calling it “the best gelato I’ve had outside of Europe,” and lamenting the fact that the sweet corn always sells out before closing. Sign uphereto get INSIDER’s favorite stories straight to your inbox.